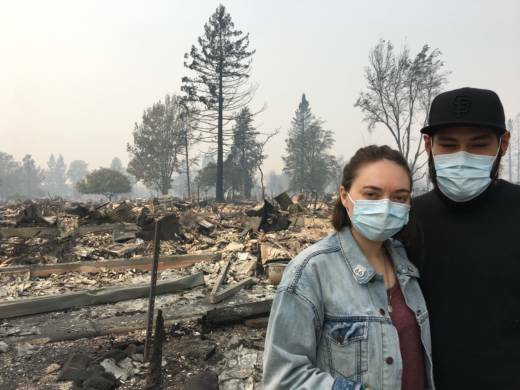 Kayla Swaim lived in Coffey Park, the Santa Rosa neighborhood that was destroyed a year ago in the Tubbs Fire. She lost everything, including her sense of safety. It's been a year of rebuilding. She has since gotten married but she struggled at work and lost her job. This is one resident's story of homecoming after the fire.